BidX1 has announced details of its latest auction which will be Europe’s largest online auction to date. Some 380 properties are going under the virtual hammer across three days – May 30 and 31, and June 1. No fewer than 82 apartments are on offer – more than a quarter of the catalogue – so the auction should provide an interesting addition to recent commentary on the popularity of this asset class. A retail investment on Cork’s premier shopping street – 122 St Patrick’s Street – headlines the commercial offering. The ground and first floor are let to Schuh and generating €180,000 annually, while further asset management potential is provided by the vacant second and third floor. The property is guiding €1,650,000. Back in the capital, four retail units in bustling Quartiere Bloom on Ormond Quay are being offered with a guide of €1,000,000 and, interestingly, 45 per cent of a retail unit on North King Street let to the well-known Musgrave Group is guiding €620,000. 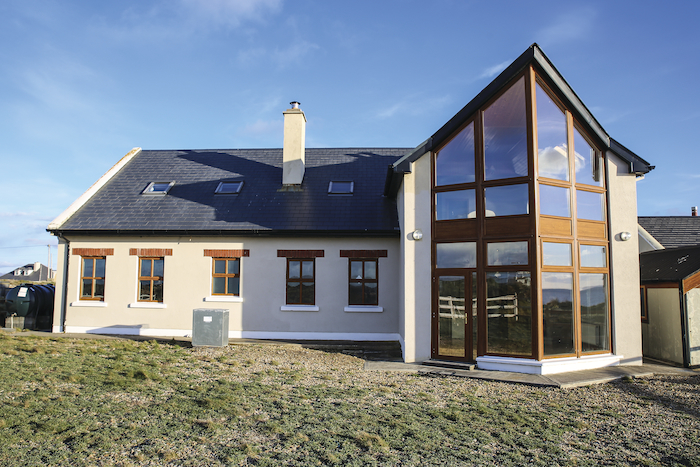 Two portfolios of holiday homes are on offer: eleven holiday homes in Bantry, Cork, are reserved at €1,000,000 while 15 homes in Graiguenamanagh, Kilkenny, comprising a mix of one and two bedroom apartments as well as a four bedroom house, are being offered with a reserve of €750,000. Investors willing to undertake finishing works will find Lot 192 of interest – a portfolio of six detached four bedroom houses in Gorey, along with two additional residential sites – are going under the virtual hammer with a reserve of €900,000. Numbers 13 and 64 Grosvenor Square in Dublin 6, reserved at €840,000 and €800,000 respectively, are headlining the selection of family homes. Requiring refurbishment, these attractive red-brick properties present a rare opportunity to acquire a Victorian property overlooking one of south Dublin’s most coveted squares. Further attractive opportunities include Marydyke Cottage in Chapelizod, Dublin 20, reserved at €550,000, and offering that rare feeling of the countryside just outside the city centre and Sillan Lodge, a derelict house in Greystones on 0.192 acre. More than a quarter of the catalogue comprises apartments, both tenanted and vacant. South Dublin and city centre lots carry the highest reserves, leading with a one bedroom apartment at Gallery Quay in popular Grand Canal Dock. Generating €21,600 per annum in rental income, the property is reserved at €350,000. Across the river in the busy IFSC, a vacant two bedroom apartment is being offered with a reserve of €315,000. South Dublin highlights include a two bedroom apartment in Rathgar reserved at €340,000; a two bedroom apartment in Rathfarnham reserved at €285,000; and a one bedroom apartment on Sussex Road in highly desirable Dublin 4, also reserved at €285,000. BidX1 is a pioneering online auction house providing buyers and sellers with a powerful, worldwide, online trading platform. Formerly known as Allsop Ireland, the business was established in 2011 and quickly became Ireland’s largest auction company, bringing previously unseen levels of transparency, speed, and worldwide exposure to the Irish property market. The business pioneered the use of online auctions to further enhance the market offering. The BidX1 team have sold some 7,000 assets, raising in excess of €1.3bn. With the recent acquisition of London based Andrews and Robertson, BidX1 has become the second largest commercial and residential auction house in Britain and Ireland. BidX1’s proprietary platform is backed by extensive real estate experience combined with the best of cutting edge technology. The bespoke, in-house platform means clients can buy or sell property online from anywhere in the world - securely, efficiently, and confidently. Detached four bedroom house. Extending to approximately 139sq m (1,500sq ft ). Single storey beneath a pitched roof. Gardens to the front and rear. Off street parking. Subject to a current rent of €6,000 per annum. https://bidx1.com/en-ie/auction/property/26756. Reserve not to exceed: €110,000. Semidetached four bedroom house. Extending to approximately 124sq m (1,334sq ft ). Vacant possession. Semidetached four bedroom house. Extending to approximately 124sq m (1,334sq ft ). Vacant possession. https://bidx1.com/en-ie/auction/property/26748. Reserve not to exceed: €75,000. Semidetached two bedroom house. Extending to approximately 72sq m (775sq ft ). Vacant possession. Single storey beneath a pitched roof. Garden to the rear. https://bidx1.com/en-ie/auction/property/26841 Reserve not to exceed: €30,000. Detached five bedroom house. Extending to approximately 135sq m (1,453sq ft ). Vacant possession. Two storey beneath a pitched roof. Gardens to the front and rear. Off street parking. https://bidx1.com/en-ie/auction/property/26757. Reserve not to exceed: €70,000. Semidetached four bedroom house. Extending to approximately 131sq m (1,410sq ft ). Vacant possession. Two storey beneath a pitched roof. Garden to the rear. Off street parking. https://bidx1.com/en-ie/auction/property/26842. Reserve not to exceed: €95,000. Second floor two bedroom apartment. Extending to approximately 61sq m (656sq ft ). Vacant possession. Within a building arranged over ground and two upper floors. https://bidx1.com/en-ie/auction/property/26755. Reserve not to exceed: €45,000. Detached four bedroom house. Extending to approximately 279sq m (3,003sq ft ). On a site area extending to approximately 0.64 hectare (1.58 acres ). Scenic coastal view. Vacant possession. Two storey beneath a pitched roof. Gardens to the front and rear. Scenic coastal views. https://bidx1.com/en-ie/auction/property/26768. Reserve not to exceed: €150,000. First floor two bedroom apartment. Extending to approximately 78sq m (850sq ft ). Vacant possession. Comprised within a building arranged over ground and three upper floors. On street parking. https://bidx1.com/en-ie/auction/property/26769. Reserve not to exceed: €47,000. Detached four bedroom house. Extending to approximately 140sq m (1,506sq ft ). Vacant possession. Single storey beneath a pitched roof. Garden to the front. Off street parking. https://bidx1.com/en-ie/auction/property/26877. Reserve not to exceed: €80,000. Semidetached four bedroom house. Extending to approximately 121sq m (1,302sq ft ). Vacant possession. Two storey beneath a pitched roof. Garden to the rear. Off street parking. https://bidx1.com/en-ie/auction/property/26747. Reserve not to exceed: €75,000. Detached two bedroom house. Extending to approximately 78sq m (839sq ft ). Vacant possession. Single storey beneath a pitched roof. Gardens to the front and rear. https://bidx1.com/en-ie/auction/property/26771. Reserve not to exceed: €25,000. Detached four bedroom bungalow. Extending to approximately 92sq m (1,000sq ft ). Vacant possession. Single storey beneath a pitched roof. Gardens to the front and rear. On a site area extending to approximately 0.40 hectare (1 acre ). Off street parking. https://bidx1.com/en-ie/auction/property/26550. Reserve not to exceed: €75,000. Semidetached four bedroom house. Extending to approximately 125sq m (1,350sq ft ). Vacant possession. Two storey beneath a pitched roof. Garden to rear. Off street parking. https://bidx1.com/en-ie/auction/property/27118. Reserve not to exceed: €75,000. Detached one bedroom cottage with stables and yard. Extending to approximately 32sq m (344sq ft ). Together with approximately 0.50 hectare (1.25 acres ). Requires minor upgrading to be habitable. Vacant possession. Single storey beneath a pitched roof. Features include four stables, lunge pen, tack room, wash rack, walled yard and grass arena. The stables have been re-roofed, re-floored, re-plastered, re-painted and have new doors, feed bowls, hay racks and water bowls. The property also benefits from new insulated double blocked walls, new roof and floor, new windows and doors, new wiring, and a new fireback and flue on the original chimney. Off street parking. The property comes with turbary rights (turf cutting rights on nearby bog ). Site area extending to approximately 0.50 hectare (1.25 acres ). https://bidx1.com/en-ie/auction/property/26686. Reserve not to exceed: €79,500. A mixed use building. Comprising two retail units and an apartment overhead. Extending to approximately 335sq m (3,605sq ft ) in total. Vacant possession. https://bidx1.com/en-ie/auction/property/26946. Guide price: €120,000. A ground floor retail investment. Extending to approximately 100sq m (1,076sq ft ). Let to NCBI. Informal tenancy. Current rent reserved €6,760 per annum. https://bidx1.com/en-ie/auction/property/27048. Guide price: €65,000.